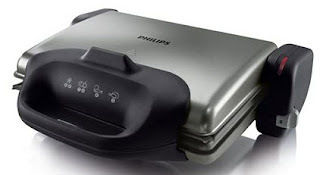 Last 29th of September, I bought this Philips Griller from Carrefour for 299 AED. For the past few weeks I've been trying to prepare new foods since I've been eating tuna omelet almost everyday. Since I started the all-seafood regimen, I am having difficulties in choosing the right foods for me. As you may know, I am not eating pork, beef and chicken. So I checked the internet and searched for some foods that can be easily prepared. 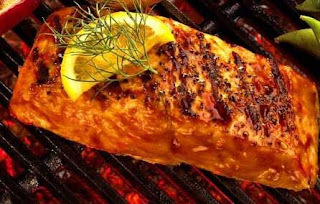 I came to this Grilled Salmon topic and it was kinda simple. So I bought the griller and started my journey to a perfect salmon! All the ingredients are available in your favorite supermaket. It includes lime, teriyaki sauce, pepper and olive oil. First, I marinated the salmon with lime juice and I got this pepper grinder so the spreading of the spices became easy. Afterwards, I put the teriyaki sauce on the salmon and sprayed olive oil on it. In just a span of five minutes inside the griller, the salmon was ready and the taste isn't bad at all. It wasn't just about time saving and diet purposes but this food is also beneficial in terms of its nutrition factors. Salmon is a good source of protein and omega 3 fatty acids which is good for the heart.